New garage doors are a wonderful addition to a home, adding curb appeal and equity. In our opinion, every homeowner should have dependable garage doors, if your garage doors are old and in poor repair, garage door installation from G&G Garage Door is something that you need to seriously consider. We have already told you that if you go with our garage door services, such as installation, maintenance or repair, you will be able to experience benefits like: increasing your home’s value, increasing your home’s physical appeal, and saving money on your energy bills. Here are the final benefits that you can expect to receive when you choose to have a garage door installed from G&G Garage Doors. Your home will be more secure! With a locked garage door, you will be able to leave your front door locked most of the time. Keypads are a great way to secure your home a little bit more. Instead of giving someone a key to your home while you’re away, give them a temporary code to enter through your garage. 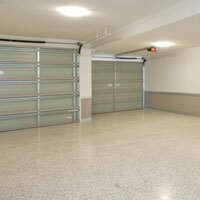 If your garage door is old and outdated, you could be spending much more time servicing on it than you would like. Reduce the amount of time that you spend on your garage door with maintenance and upgrade it once and for all. If you are ready to indulge in all of the benefits that having a updated garage door can provide for you, then you need to call G&G Garage Doors! Contact us today and receive your estimate!